When life becomes overwhelmingly complex and complicated — after a national election, say — then it’s time to focus on the small, simple things of life, because these are the ones that ultimately matter. A child’s laugh, the feeling of her arms entwined around your neck as she snuggles as close as she physically can, a good story, companionship, the kiss of the breeze on your cheek — these small, eternal things are what make life worth waking up to each morning. 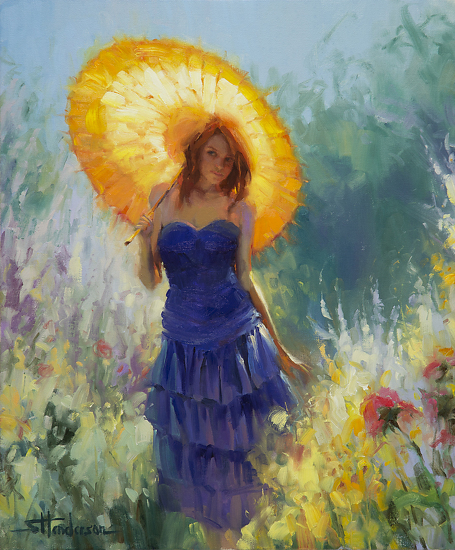 Seaside Story, which embodies this sense of peace and well being, is now available as a signed, limited edition print through Steve Henderson Fine Art.